Get started with Commando Krav Maga (CKM) and learn to defend yourself in the real world. Our system teaches you simple, no-nonsense techniques that you can use under pressure to save your life–or save someone you love! Commando Krav Maga (CKM) was developed by Moni Aizik to show you how to survive in situations like these. 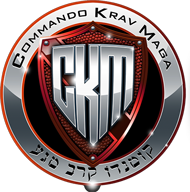 CKM is a reality based self-defense system, built on the foundation of Krav Maga—the world famous Israeli Defense System. Through his experience as an Elite Commando of the Israeli Defense Forces, Moni Aizik developed the principles and techniques of Commando Krav Maga. Moni is the founder and chief instructor for Commando Krav Maga. The Israeli military developed the hand to hand combat system called Krav Maga which was extremely practical in the battlefield. Commando Krav Maga (CKM) is considered by many experts to be the most evolved and effective Israeli hand to hand combat system in the world. Developed by Moni Aizik, Commando Krav Maga is a reality-based self-defense system, engineered for the most brutal and vicious street confrontations. With our no-nonsense approach and straight forward practical moves, CKM prepares you for the unexpected with techniques that you can use under pressure. Commando Krav Maga is not a traditional or sport-based martial art. There are no competitions, rules or regulations. Instead, CKM is designed for the primary goal of survival in no rules environment. We will give you the skills to make it home safely. CKM Bootcamp is a 4-day course where one of our Elite Level Instructors will teach you how to survive and defend yourself in a variety of scenarios–including armed attackers (guns and knives), multiple attackers and ground attacks. You’ll have a complete foundation in CKM. Enroll in CKM University Online to get instant access to our foundation level techniques of CKM. You’ll see HD quality techniques from multiple camera angles as well as the common mistakes and questions for each technique. Find one of our certified instructors that is nearest to you. You can schedule private lessons or participate in group classes to learn how to defend yourself properly from a trained instructor.